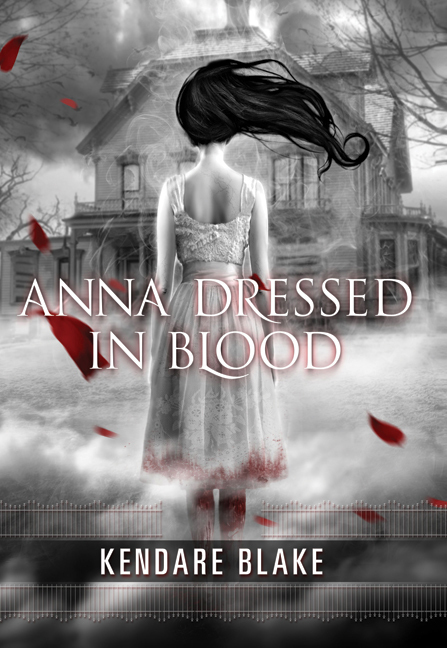 Anna Dressed in Blood is one of the most original, deeply creepy and engrossing novels I’ve read recently. The story certainly lives up to the eeriness of the cover art and is an interesting mix of supernatural horror and forbidden attraction. High school student Cas Lowood has spent the last several years hunting ghosts, carrying on the family tradition that resulted in the death of his father. The reader is introduced to Cas while he is on the trail of a ghostly hitchhiker who sends cars off the bridge and into the river where his body was dumped. That “kill” is ordinary and Cas quickly starts looking for the next specter causing trouble. When Cas hears about Anna Dressed In Blood, who has been haunting and killing since the 1950s and he feels compelled to investigate. But none of his experience has prepared him for the reality of Anna and when Cas actually comes face-to-face with her all bets are off. I’ll be honest – this book actually gave me a few nightmares. Not because of Anna; she is intriguing and tormented and freaky yes, but there is another character that I truly gave me the chills. Readers will feel compelled to finish this book in one sitting so as not to be too overcome by the death-by-ghost possibilities. Kendare Blake is a talented writer who’s second novel bursts onto the YA Paranormal scene with a bewitching tale. What does MLK, Jr Day mean to you? What're You Resolved to Do?